One of the critical factors for virtual reality’s success in realizing mainstream adoption is the richness and diversity of the content available. While various studios have popped up with the promise of creating engaging, fully-immersive 360˚ experiences, a secondary race to develop the infrastructure for hosting these experiences has been brewing beneath the surface. Entering as a new contestant then is video streaming service Hulu, who recently announced an update to its mobile VR app for the Gear VR and its desktop app for the Oculus Rift, both of which will enhance the experience of viewing Hulu-branded content in VR through layered social dimensions. Slip on a headset and join your friends as avatars composed solely of a floating head and hands, where you can share an Oculus Room and watch movies together. You’ll further be able to play with objects like a TV remote around the virtual space thanks to the inclusion of the Oculus Touch, though lack of avatar customization and the limited use cases for hands help center the attention around Hulu’s media. Though social in VR is a hot topic, establishing a sense of community within an experience is difficult for a number of reasons – for one thing, most Hulu viewers don’t own a headset. Among those that do, not all of them actually use the platform on their Gear VR or Oculus. Moreover, the physical act of donning a headset is quite isolating; Hulu will have to mold the experience around tech-savvy friend circles who are comfortable sharing experiences digitally despite being distant in the material world. Mainstream approval of Hulu in VR hinges on whether or not the company is able to bring out the social elements at play. One of the major tenets among content creators in this new medium is that virtual reality experiences should only be generated if they belong in VR; that is to say, simply recreating Hulu in VR won’t offer a substantial reason for the platform to exist three-dimensionally, the company will need to focus its efforts on “why VR?” and how it differentiates the value that its platform provides for VR and flat screens. 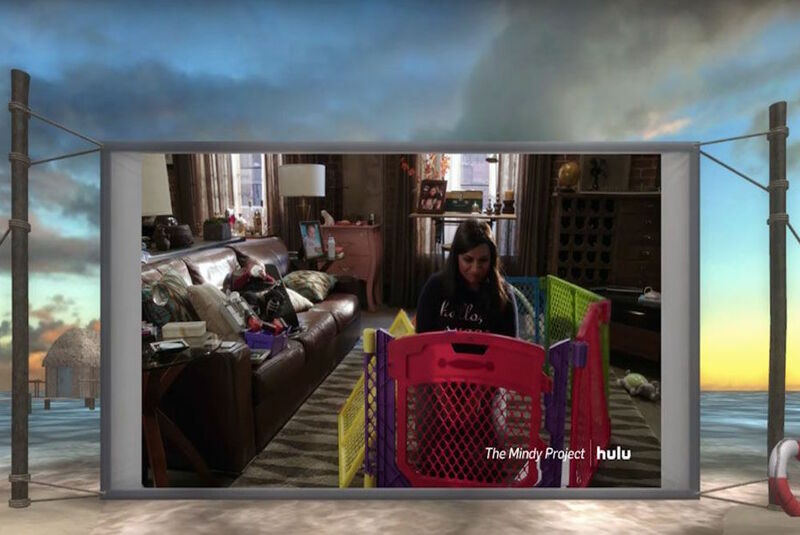 Hulu will have to cater to long-distance couples streaming content in a shared virtual space, while simultaneously providing the magic glue that holds family night together on a couch in front of the TV. To meet the needs of the audience its catering to, the company will have to be attentive to the fact that there may be multiple audiences concentrated behind a particular touch point, be it VR or TVs, laptops and tablets. Somewhere between first and second mover-advantage, the company is entering a relatively unchartered territory where it still has the opportunity to leave its mark. With Netflix VR already a reality, a more dynamic brand war is steeping – one which will force the players involved to strategize deeper than licensing, distribution and content quality. With new components like social immersion and virtual architecture informing decision making, video streaming services are gearing up for a massive transformation in the next five to 10 years.